Raj Icorporated is one of the authorized dealer & largest importer of Teslin Laser Printable sheets in India. 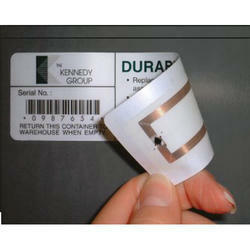 These are manufactured using optimum quality raw material by PPG group USA. These sheets give the best result in Laser printing & have excellent chip embedding quality for making smart cards. 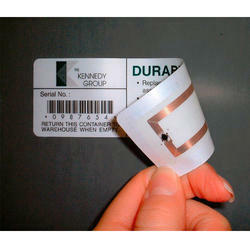 These sheets have VICAT softening temperature, they are 100% recyclable & primarily used for making Smart Cards. The standard grades available are SP 700, SP 800, SP 1000, SP 1000 Blue, SP 1200 & SP 1400. Thickness of 0.175 mm, 0.200 mm x 0.250 mm, 0.300 mm & 0.350 mm. Standard sizes are A4, A3, 12" x 18", 12.5" x 19", 18" x 24", 19" x 24" & 19" x 25". 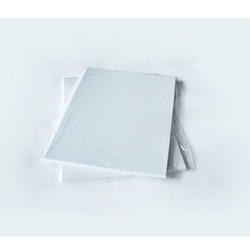 Teslin Synthetic Sheets are widely used in making ID and Smart cards. These are waterproof, temperature and tear resistant. Teslin sheets Offered by us can be printed easily using any standard Digital or laser desktop printer. Additionally, these can be availed at discounted / Wholesale prices from us. 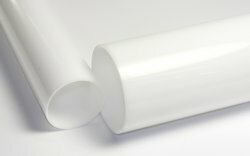 For the diverse requirements of our clients we are involved in offering an extensive range of Laser PVC Sheets. 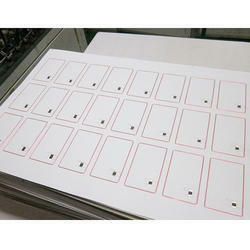 These sheets are used for laser printing ID cards and smart cards. These are available in various thickness mostly in A3 and A4 sizes as per the requirements of our clients. Additionally, we also assure to deliver a defect free range of our products in a fixed time frame. We are the largest importers and stockists of all PPG products like Teslin Sheets. We have different types of material for printing and other purpose. Teslin sheets are the best quality printing material available in India. 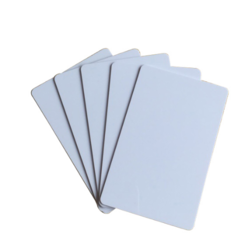 It is mainly used for printing smart cards, ID cards, RFID cards. 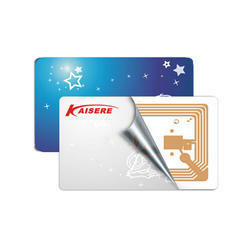 With rich industrial experience we are involved in offering an extensive range of Teslin Smart Card Sheets. These are extensively used in making various cards such as e-Passports and radio frequency identification (RFID) cards and labels. These are made using fine quality material under the guidance of our professionals. Additionally, we also assure safe and timely delivery of our products. We are engaged in a provision of manufacturing a wide array of Teslin Printing Sheets.It is new kind of material for printing applications. It produces high quality printing on a synthetic material. It allows printing on both sides. Teslin sheets are well known for their durability. It can wash and even steam-pressed, water proof. Raj Incorporated is one of the very few distributors of Teslin Sheet, also know as laser printable sheets. We source our entire range from PPG group, who are the sole manufacturer of these products using optimum grade raw material & cutting-edge technologies in adherence wit the industry set quality norms in USA. Following are some of the highlighted attributes of offered range, owing to which this range used in to make the id cards, banking cards, health insurance card, event cards, driving license cards. 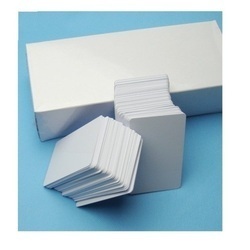 We are the largest authorized distributors of superior quality range of Teslin ID Card Sheets. 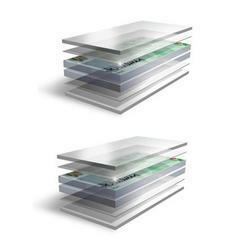 Offering wide range of Teslin Digital Sheets. It features the same unique characteristics of Teslin SP substrate - durable, secure and printable - with an added emphasis on suitability for digital printing process. We are the largest suppliers of wide range of Teslin Digital printing Sheets, also know as laser printable sheets. We source our entire range from PPG group, USA who manufacture these products using optimum grade raw material and cutting-edge technologies. Following are some of the highlighted attributes of offered range, owing to which this range used in to make the id cards, banking cards, health insurance card, event cards, driving license cards. Looking for Teslin Rolls & Sheets ?